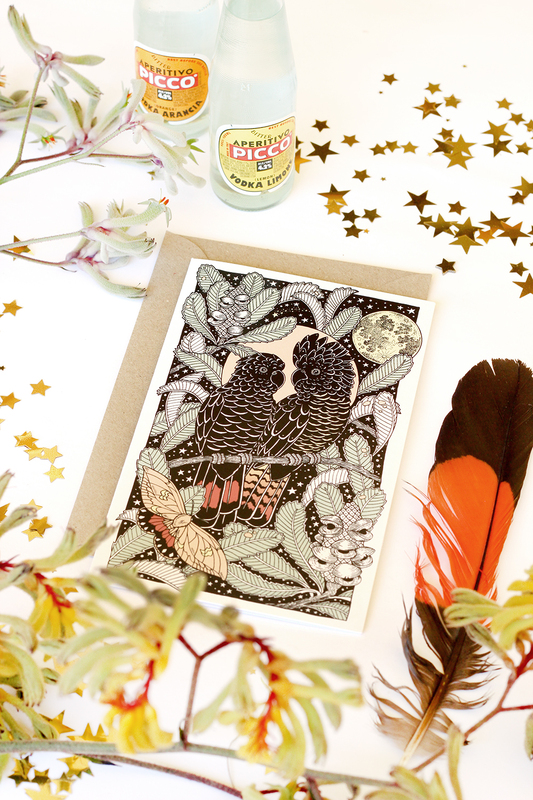 Australiana-flavoured greeting cards are the newest addition to the Pony Gold online shop! I'd been thinking about this little series of illustrations – the Laughing Bird, Waratah Queen and Mothlight Lovers – for a long time before I finally had time to commit the thoughts to paper. So it makes me very happy to see them all side-by-side now; each a tribute to a different aspect of Australian bushland majesty. Shop the new Pony Gold greeting cards here.